In Wisconsin, bed bugs are most definitely NOT getting better. They think they are coming in on the luggage of travelers in the Door County Advocate. In Cedar Rapids, Iowa, the city has threatened to placard a building for "unsafe and unsanitary conditions" due to an ongoing problem with bed bugs. The placard would undoubtedly make it difficult if not impossible to find new tenants. If you've seen those TV commercials for bed bug sprays that keep bed bugs off your furniture, the Federal Trade Commission has come to a settlement with them about their claims. When you hear "kills on contact" what you should hear is that they kill bedbugs that you actually spray, but not other bedbugs or eggs or anything that is missed in cracks or crevices. Only heat can reach everywhere! Canada isn't immune either. One hospital in Hamilton, Ontario has has 70 cases of bed bugs in the last 18 months. 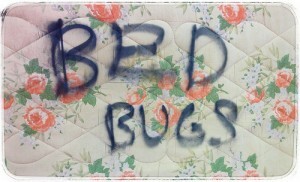 And in Montreal, Bed Bugs Are Still a Problem, although at least they are not getting worse. We hope that no matter where you travel, Wisconsin, Iowa, Montreal or Sacramento, the #1 City for Bed Bug Infestation Growth for this year, that you are being careful, inspecting hotel rooms, and laundering everything in your luggage before you put it away, whether you wore it or not! We are back from our trip and getting ready for school to start! Hope you are having a wonderful tail-end-of-the-summer!